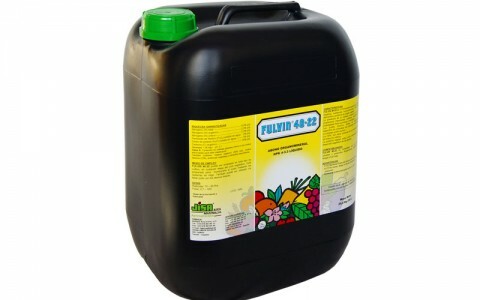 FULVIN 40-22 is a special formulation with a long trajectory in the agronutrients market, always obtaining more than satisfactory results in all type of crops. 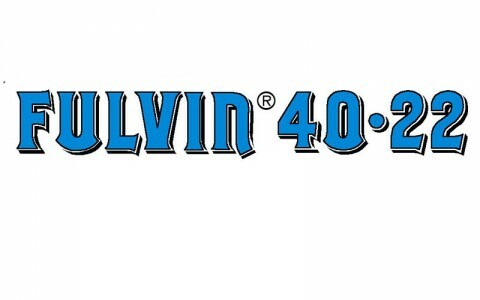 The success of FULVIN 40-22 is due to in between others things because of its specific formulation that conjugates the following nutrients: organic matter, humic-fulvic substances, NPK, micro-nutrients and vegetal proteins. The presence of organic matter in the soil provides important advantages, improving the physical properties (better structure and a higher capacity to retain water), chemicals (facilitate the cationic exchange) and biologicals, improving the microbe activity. When the levels of organic matter in the soil are low, it must be added to improve the crop. FULVIN 40-22 fulfil these functions. The fulvic acids have the specific characteristic to complex the nutrients existing in the clay-humic complex, along with a great power of assimilation and penetration in the plant. The NPK, are an essential part of the basic nutrition of all the crops. 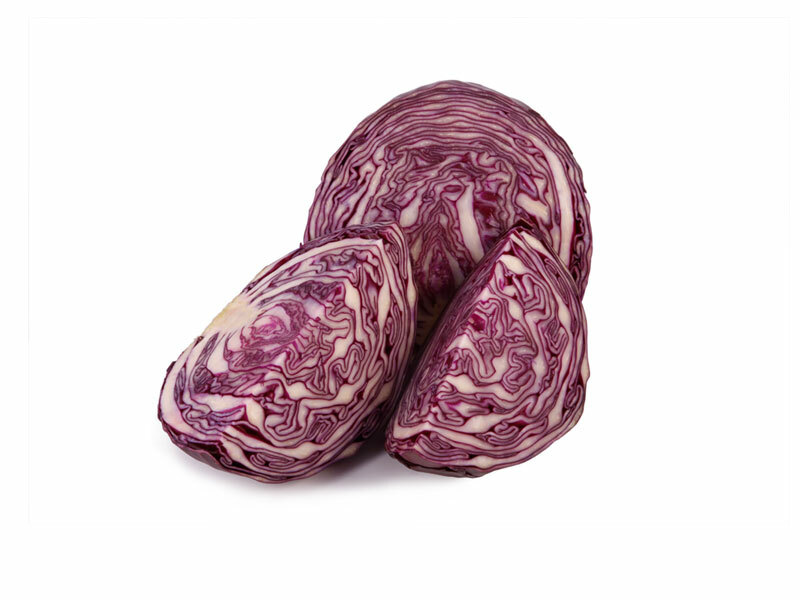 The micro-nutrients help to avoid the deficiency appearance. 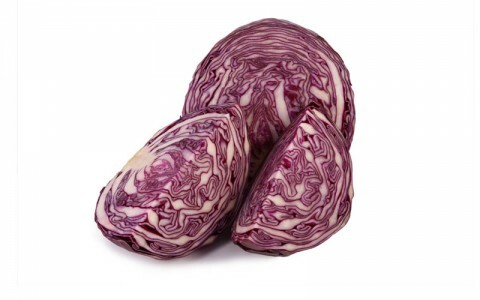 The vegetal protein, acts as a stimulant in the vegetative development of the plants. 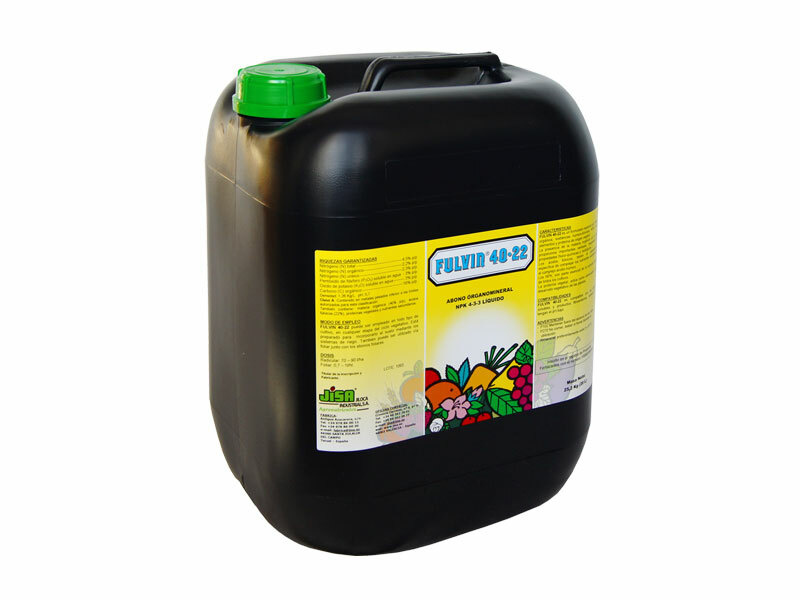 FULVIN 40-22 can be used for all kind of crops added to the soil though the irrigation systems. It is all so recommended to apply by foliar applications with the foliar fertilisers. 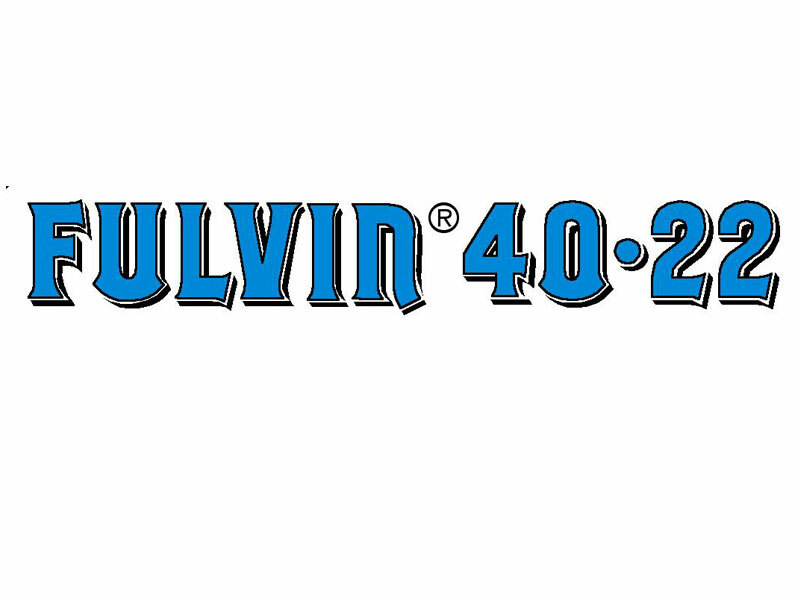 FULVIN 40-22 is compatible with soluble fertilisers and phytosanitary products, whenever they have low pH.